SCOTTISH independence would create extra costs for BP, according to the energy giant’s chief executive. Bob Dudley said there are “quite big uncertainties” over currency, European links and tax regimes if Scotland becomes independent. In an interview with the BBC, Mr Dudley said: “I’m not concerned but there’s enough uncertainty and talk about it and questions raised. 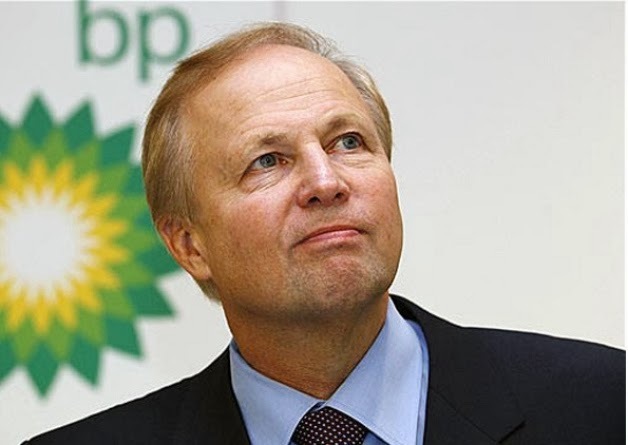 BP’s future in the North Sea in the event of independence “would depend on what it really led to”, he said. He added: “We have got a lot of people in Scotland, we have got a lot of investments in Scotland. “There’s much debate about what would happen with the currency, and of course whether there are connections with Europe or not. “These are quite big uncertainties for us, and at the moment we are continuing to invest at a pace because these projects are under way. “But it’s a question mark. I think all businesses have a concern. A Yes Scotland spokesman said: “A shared currency is in the overwhelming economic interests of both Scotland and the rest of the UK. “This was the view of the (Scottish Government’s) Fiscal Commission Working Group last year. Better Together chief Alistair Darling said: “This is perhaps the biggest intervention by a major business so far in the referendum debate. “I hope that more companies and business leaders speak out over the coming weeks and months. This debate is far too important to be left to politicians alone. Labour’s shadow energy minister Tom Greatrex said: “The warning of uncertainty, instability and impact on activity from BP today is one that echoes concerns expressed by others in the energy sector, including SSE, Scottish Power and Infinis. A Scottish Government spokesman said: “We welcome all contributions to the debate on Scotland’s future, and would be happy to meet with Mr Dudley to discuss the future of the industry in an independent Scotland. “He has made clear these are his personal views and that the company is continuing to invest in Scotland. “Record amounts of money are being invested in the offshore sector, by BP and others, with £100 billion of investment planned by companies. And more than half of oil and gas reserves by value are still to be extracted. “BP is a company which already operates in more than 80 independent countries around the globe, and an independent Scotland with full control of its economy and huge resources will offer an attractive and stable environment for businesses in the offshore and other sectors. Asked about Mr Dudley’s comments, Prime Minister David Cameron’s official spokesman said: “I think it is important when one of the UK’s leading businesses and investors and an important employer raises this issue. Several Government ministers have already made clear that it is “highly unlikely” that an independent Scotland would be able to join a currency union with the remaining UK, said the spokesman.